Taree Motorcycle Club held a Kickstart course for new Junior riders on Saturday 17th November 2018 at the Old Bar Roadside circuit. Previous Taree Motorcycle Club President of five years’ standing, Craig Nelson, an accomplished rider himself, ran the course for Sophie Tuck and Noah Hayes. 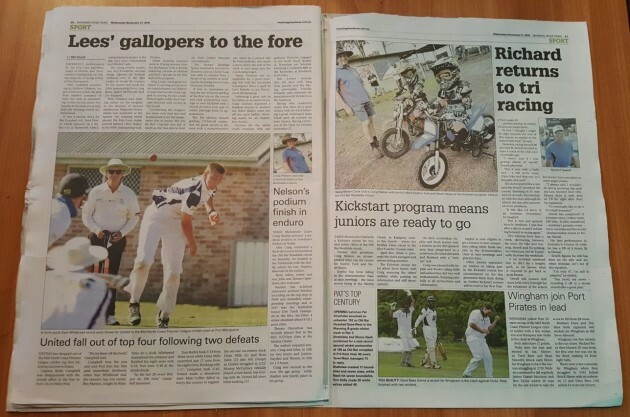 Taree Motorcycle Club Junior, #44 Sophie Tuck, has been riding in the Demonstration Class at race meetings – the most recent being at the Akubra Classic in Kempsey on 4th November 2018 – where Sophie’s brother, #44 Liam, raced in the 65cc 9-U13yrs class. 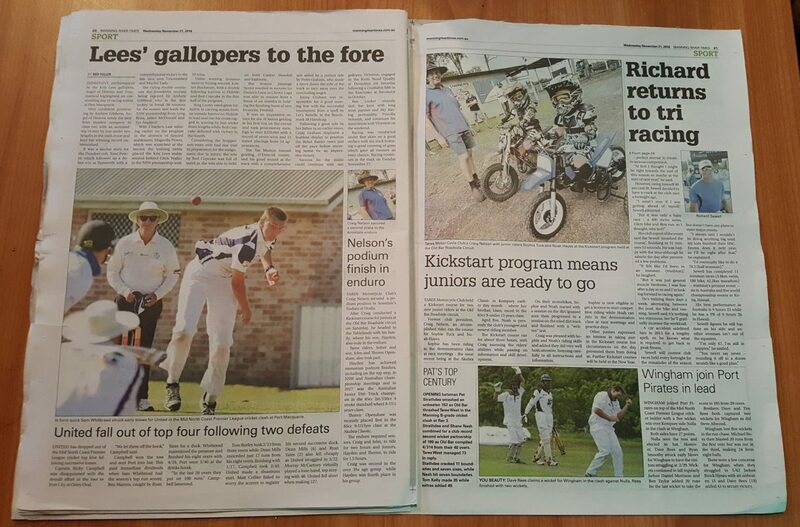 At five (5) years of age, Noah Hayes is presently Taree Motorcycle Club’s youngest and newest riding member. The Kickstart course ran for approximately three (3) hours with Craig assessing the young riders’ abilities; passing on information to them; and developing their skills. On their motorbikes, the two young riders started with a session on the dirt/grassed area; then progressed to a session on the oiled dirt track itself; and finished with a “written” test. Craig was pleased with Sophie and Noah’s riding skills and commented that they did very well and were both very attentive, listening carefully to all instructions and information. Sophie is now eligible to get a licence to start competitive riding. While Noah can ride in the Demonstration Class at race meetings and practice days. Other Juniors expressed their interest in taking part in the Kickstart course but their circumstances on the day prevented them from doing so. Further Kickstart courses will be held in the New Year. Taree Motorcycle Club thanks Craig Nelson for giving his time to, and sharing his motorcycling knowledge with, Sophie and Noah at the Kickstart course. The Club also thanks the participating children and their parents for their attendance. Additionally, the Club would like to express its appreciation to Scott Calvin, Manning River Times’ photographer, for coming to the track on Saturday. Taree Motorcycle Club particularly appreciated Craig conducting the course as directly after Kickstart on Saturday, Craig and other Taree Motorcycle Club riders travelled to the tablelands to compete in Armidale Motorcycle Club’s ‘Enduro’ event at Uralla on Sunday.